Ranking of your site is a major issue of concern, we all apply a lot of efforts to make the blog with rich content and complete information about the topics, which we are sharing on the blog. Is that sufficient to rank your blog on google first page? Here are the 5 easy steps for On-Page SEO to boom on the search engine. For, any of your blogs, you need to optimize it for search engines. 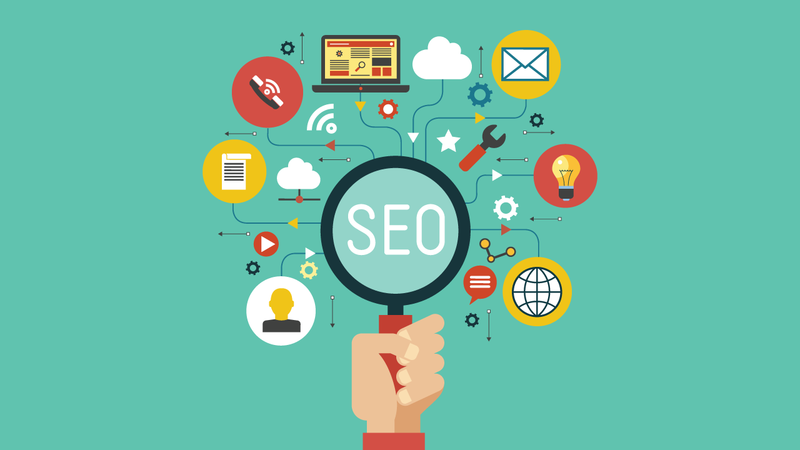 SEO can help your business grow and meet the business objectives. It improves Google ranking and performance without incurring penalties. so, guys lets go and have a look at how to do On-page SEO for your blog, earn a good rank, boost your blog’s traffic and an improvement in your search engine results. A step towards the first page of Google because 95 percent of web traffic received from its first page. On-page Search Engine Optimization (SEO) refers to optimizing page contents and code elements, the practice of optimizing individual web pages in order to rank higher and earn more relevant traffic in search engines. On-page refers to both the content and HTML source code of the page that can be optimized. Quality content is the number one driver of your search engine rankings. it should be specific to relevant information. The strategy behind the good content is to identify a keyword phrase for each page. This Keyword rich content is fulfilled only when you think from a user perspective. Suppose, your reader might search for that specific page (with phrases like “learn search engine marketing,” “best tricks for SEO on a page,” or “How to do web SEO”). Then, repeat these phrases and keyword several times throughout the page. Highlight the important or those words which you want to emphasize more with bold, italics, heading tags, and keyword phrases. At last, update your content regularly. Search engines not only crawl the text on your blog but, also search for keywords within your image file names. To handle this, Creating descriptive, keyword-rich file names is absolutely crucial for image optimization. Another, thing to remember is “Optimize Your Alt Tags”. Alt tags are text alternative to images when a browser can’t properly render them. Depending on your browser settings you can see, if you hover over it with your mouse pointer, you can see the alt tag text created for that image (depending on your browser settings). Metadata is data information, that provides information about other data. In the source code of the website, each page contains a space between the <head> tags to insert metadata or information about the contents of your page. you should place a correct information in title description and keyword Metadata targetting your content. Title metadata is responsible for the page titles displayed at the top of a browser window. Description metadata is the textual description that a browser will use in your page search return. Keyword metadata are the search phrases that people type when they want to find your page. Internal linking is the technique of Search Engine Optimization(SEO) to link one post to another. It can draw more traffic to your website and better rankings in the search engines. Many bloggers fail to optimize their internal links or even they don’t link their posts to each other internally. This ignorance leads to low traffic, less visible to users, we must avoid. Effective, link building helps in proper navigation, render relevant data to readers and bots. also, reduce bounce rate of your website. Search engine submission: it is a process of getting listed in Google and the other popular search engines, targeted traffic to your website. Submit blog to Google’s webmaster tool by just verifying your blog ownership. It also tells about our blog issues like broken links, HTML improvements etc that we must try to resolve. Improve your blog load time: “First impression is the last impression”. If your blog takes a lot of time, then visitors will go back and never come back again. It will increase bounce rate of your blog and you’ll lose your valuable traffic. Next articleNet neutrality: fight to keep the internet free now dead, what next?